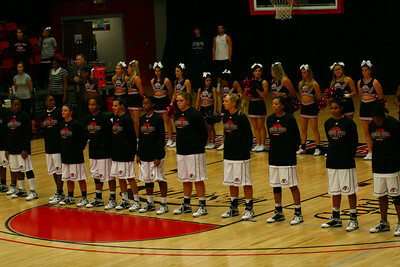 The Women's Basketball team hosted Winston-Salem State on Monday, November 16th. They had a last minute huddle before the start of the game. 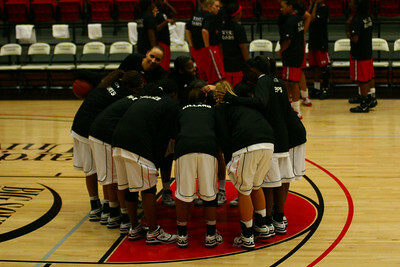 The Women's Basketball team hosted Winston-Salem State on Monday, November 16th. They stand at the playing of the national anthem. 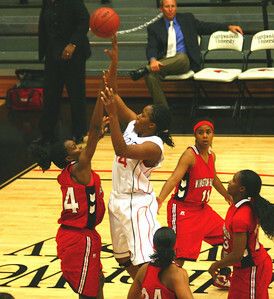 The Women's Basketball team hosted Winston-Salem State on Monday, November 16th. The game tipped off at 6:00 p.m. 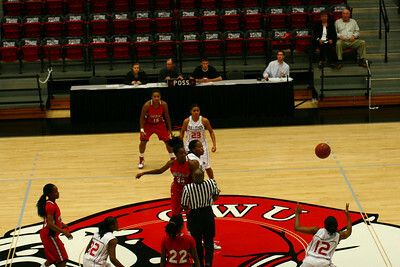 The Women's Basketball team hosted Winston-Salem State on Monday, November 16th.